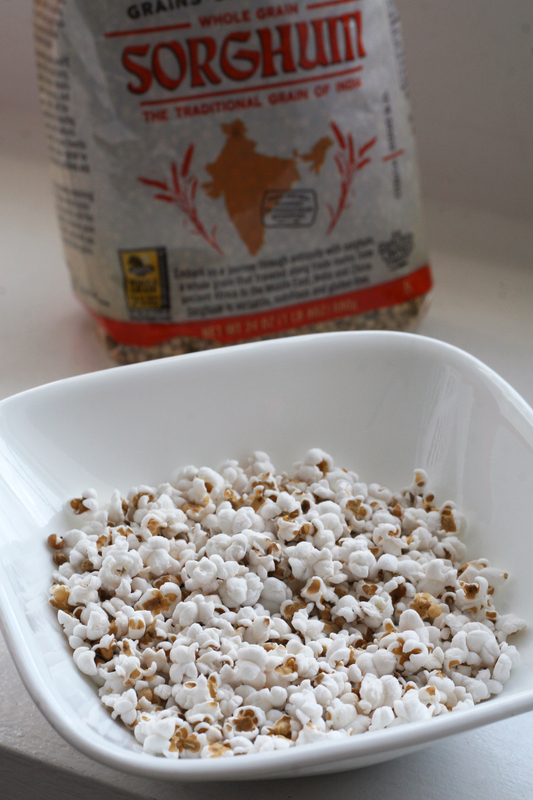 Popped ‘Corn’ | I Can Run, So I Will! –Bob’s Red Mill – Gluten Free Sorghum Grain – 24 oz. 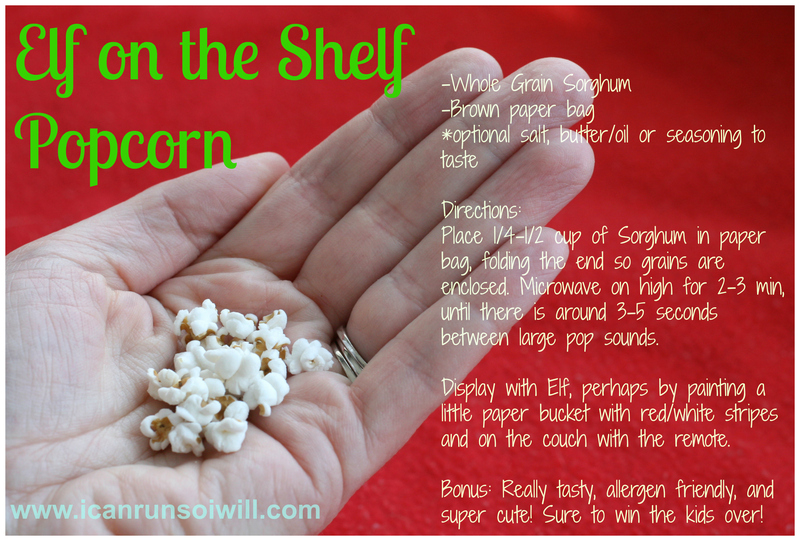 Directions Place 1/4-1/2 cup of Sorghum in a paper bag, folding the end so grains are enclosed. Microwave on high for 2-3 min, until there is around 3-5 seconds between large pop sounds. Cool for a couple minutes, and season or oil to your liking! Display with Elf as desired, perhaps by painting a little paper bucket with red and white stripes and set on the couch with the remote. Bonus: It’s really tasty, allergen friendly and super cute! Sure to win the kids over!